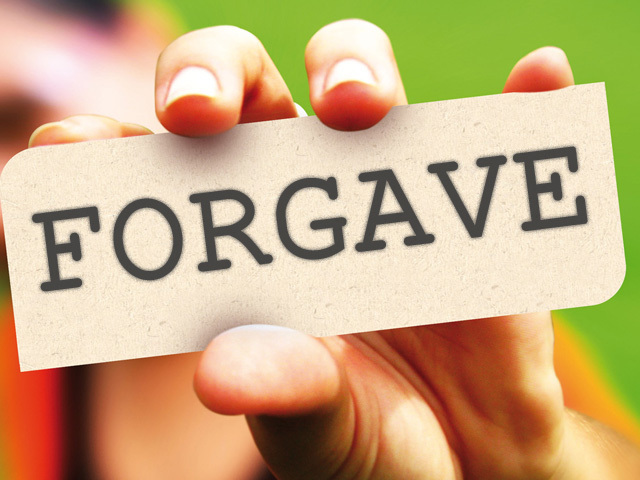 A month or so ago, I read an article on the importance of forgiving yourself. If you do not forgive yourself, then you will always lead a life of remorse, never being able to feel happiness…and most importantly, you will find it difficult to forgive and accept others’ mistakes. Today, certain incidents reminded me of this article. It brought to my mind the need to forgive myself. As every normal person, I have erred a LOT. Natural, of course. But I have committed so many mistakes, knowingly and unknowingly, that may seem far beyond worthy of forgiveness. There is one such mistake that, I knew, might be unforgivable. Yet, I have been (almost) forgiven. It really touched me. Because, to be honest, I have not been able to forgive myself yet. So, I felt it’s incredibly good of the person in question to be able to forgive me. That was like a bolt of realization for me. I understood that I still hadn’t forgiven myself. And now, I’m trying to do that. It’s true, all of us make mistakes. Some maybe big, grave ones; some small and trivial. I’m trying to tell myself that mistakes happen, that I need to move on, nevertheless. And that feeling guilty is not going to change anything. It will do no good, to me or anyone else, for that matter. What use is it if another person forgives me but I cannot forgive myself? I’m glad I realized that I have yet to purge myself…that was something like seeing light in the darkness, since I was ignorant to it until now. All of us need self-forgiveness. So many of us wreck our lives by reproaching ourselves for past mistakes. If we could just tell ourselves that it’s OK, that we need to move on, forget and forgive, then we would enjoy a peace of mind so profound and enriching. 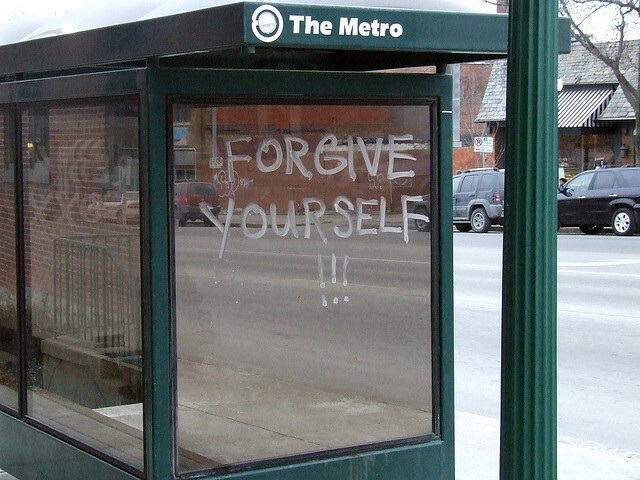 As you read this, think…Has there been any incident or mistake for which you haven’t forgiven yourself? If yes, then, know that it’s time to let go of it. Whatever you did or didn’t do is over. It has passed. Now, nothing can change what has happened…not your remorse, not your tears, your self-punishment or anything else. Life goes on, dude. Let your mind move on, don’t hold it back and imprison it to that particular moment or instance. Forgive yourself, give yourself another chance. Release yourself from the self-inflicted tortures you are going through. Take your time, but when you take the final decision, it should be to forgive yourself. Smile, laugh, be happy. Let go of your mistakes. Believe yourself to be renewed. And go on with a zeal and rejuvenated spirit to live. Life is waiting for you. Go ahead and live FULLY! I’ve been lost in thoughts, the whole day. I have been quite dull for the past few days. Maybe, the magic of self-forgiveness can change things. Or perhaps, it already has. 🙂 I hope you get to experience this awesome sense of happiness in your lives, too. You just have to let go of whatever is holding you back, forgive yourself…and TADAAA… Problem solved!! 😛 Life rocks! This entry was posted in Life Through 3 Years of College, Thoughts in Words, Writing and tagged Forgiveness, Forgiving Yourself, Happiness, Life, mistake, Peace of Mind, realization, Thoughts, Writing. Bookmark the permalink.